The World of Giant Insects is back and better than ever! Crawl into the Museum of Arts & Sciences to experience a world where larger-than-life insects tower over people at 40 to 120 times their standard size. 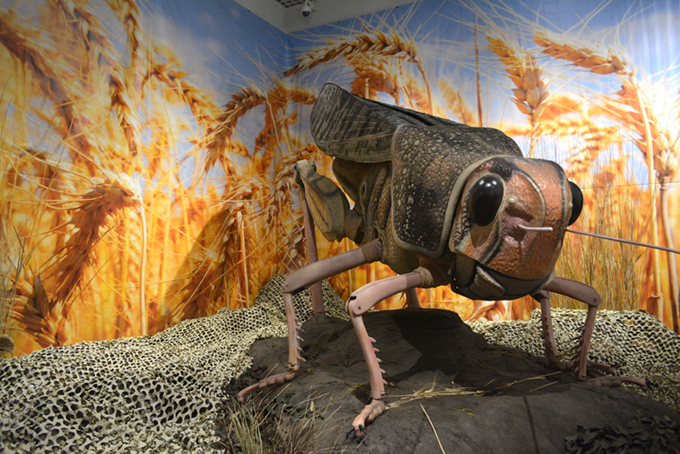 The World of Giant Insects has made its way back to Macon for the first time since 2010. For those that cringe at the thought of gigantic insects, don’t worry, they are not alive. These fascinating critters are robots created by renowned Kokoro Exhibits. These fantastic robots travel all across the United States to provide guests with educational entertainment they cannot get anywhere else. The insects range in size, some even as large as 20 feet long! You will experience everything from a Chinese praying mantis, to a colossal swallowtail caterpillar preparing for its transformation into a beautiful butterfly. Additionally, there will be interactive games and activities for all ages to enjoy throughout the summer. Check the calendar for dates and events.